IDology is a customer-driven organization, and our growth and reputation in the industry speak for themselves. We maintain an entrepreneurial approach to everything we do. Our company is structured so that anyone, no matter their role or level of experience, can execute on a good idea. It is a very exciting industry to be a part of, as it is constantly changing and we are always learning. Health, Wellness & Compensation: IDology offers competitive compensation packages as well as flexible spending accounts and a 401(k) plan. We also offer several health insurance options so that you can choose a plan that best meets your needs. Philanthropy: Giving back to the community is a vital part of the IDology culture. Our goal is to promote a culture of caring and to help our employees give back in meaningful ways. In addition to company-wide philanthropic initiatives, IDology employees are entitled to paid time off for volunteer projects of their choice. IDology is looking to expand its team. If you thrive in a fast-paced environment and want to be part of a dynamic, rapidly growing company, then we want to hear from you. Hunt to generate new sources of revenue via business development activities, including prospecting via phone/ email/ social media channels. 2+ years of proven success selling and over achieving annual quotas. Experience selling SaaS or hosted solutions to a wide variety of business domains. IDology, a leader in multi-layered identity verification and fraud prevention solutions and named one of this year’s Best and Brightest Companies to Work for® in Atlanta, is looking for a high energy intelligent sales executive to fill a hunter role within our high growth organization. The Wealth Management/ Insurance Sales Executive will identify, build and grow strategic relationships with key decision makers with the top 100 Wealth Management and Insurance companies in the US. Expectations for this position include understanding and navigating the sales process in large complex organizations, building and growing a strong pipeline, deep knowledge of IDology’s identity verification and fraud solutions, closing enterprise level deals and expanding business within these accounts. Continually stay abreast of new product offers, emerging technologies and market drivers. IDology, a leader in multi-layered identity verification and fraud prevention solutions and named one of this year’s best and brightest companies to work for® in Atlanta, is looking for someone with high energy, good organizational skills and a desire to go into sales. The SDR will identify and create opportunities for our sales reps focused in banking, lending and e-commerce. Expectations for this position include researching new prospective leads, working with solutions sales reps to identify new target companies, and generating meetings with prospects for the solutions sales team. Developer will be a member of a small team focused on developing and deploying commercial Web services. Projects will involve enhancing existing products and developing new products built on the Java/JEE platform. Our applications are developed using Apache, Tomcat, MySQL, and Spring. Work with our pricing and finance team to develop product pricing models. Present to the executive team on new opportunities, strategy, product plans, etc. The Customer Success Manager is a client-facing role who ensures customer success by delivering ongoing guidance for our identity verification solutions after the sales cycle has been completed. In this role, you will be the key point of contact for our customers, helping to maximize the value they receive from our solutions, cultivating successful long-term partnerships. The role manages top tiered customers and/or key accounts in close collaboration with the internal teams. Strong analytical, oral, written, organizational and multi-tasking skills. Our Customer Support Specialists provide support for our suite of real-time identity verification products and solutions. The CSS will be on the front-line of communications with customers, advising solutions to their application needs. We are looking for skilled individuals to join our Customer Support Team and offer world-class assistance and support to our customers. In this role, you will offer product support to IDology customers and you will work closely with internal teams to ensure we meet our customers’ needs. Configuring client business objectives to meet technical requirements. Troubleshooting systems and performance issues over the phone, email, and web. Analyze software performance and client usage to provide a holistic view of client data. Take ownership of customer reported issues and see them through to resolution. Contribute to customer use of software documentation and training materials. Provided product training and support to customers. Provide 24X7 on call support, as needed. Bachelor’s Degree with 2+ years of Customer Support / Client Solutions / Customer Service experience in a technical environment required. 2+ years data analysis and reporting experience. Analytical mindset with the ability to quickly digest a problem and identify a solution. Must have professional phone skills, a proactive mindset and be able to articulate technical problems effectively. A team player who can work well in a fast paced, multi-tasking office environment. Highly motivated, independent worker with an entrepreneurial spirit and a strong comfort level in embarking on unfamiliar tasks; must be a quick learner. Bachelor’s Degree in Computer Science or IT related field, highly preferred. Previous experience working in a Technology company. Experience in Customer-facing account role. Software Implementation / Installation experience. Experience with analytical software tools such as Tableau. Tableau experience, highly preferred. The Implementation Specialist is responsible for assisting new and existing customers with the implementation of IDology SaaS products, while promoting a positive customer experience. Accountability in this role is focused on the successful launch and “go-live” of customer implementations. Someone in this role is considered to be a trusted advisor who is responsible for guiding the customer through the process of software implementation. This position serves as liaison between IDology and the customer in order to promote customer success. Works on multiple software consulting projects as assigned, focusing on the analysis of the customer’s business goals, objectives and needs. Analyzes customers’ business requirements and objectives; develops a plan to meet customers’ business needs. Ensure solutions meets specifications and the customer specific operational workflows. Assist in addressing gaps between the software solution and the customer’s business needs. Leads onsite and remote sessions with customers in order to configure, train, and test the software and the associated processes. Provides consulting services related to use of software applications such as business process review, planning sessions, setup, testing, readiness assessment, data import/conversion, custom report needs, and documentation. Ability to quickly develop and maintain a high level of knowledge of divisional software products and remain expert on current product knowledge both from an internal and from a user perspective. Effectively applies broad, in-depth, and up-to-date knowledge of pertinent project management, technical, business, and professional issues. Ability to build rapport quickly and become a trusted advisor for the customer. Consistently and effectively leads diverse projects and project teams. Consistently leads project teams in a supportive role providing guidance, direction, and feedback. Well-organized, self-directed team player. Remains open to others’ ideas and exhibits willingness to try new things. Bachelor’s Degree with 3+ years of experience working in Client Solutions/Customer Support environment. Ability to assist with solution integrations that need to run via API. Experience with analytical software tools such as Tableau. Ability to manage a high volume of clients at any given time. Knowledge of SDK, API, and web service integrations. Some software programming experience, specifically working with APIs; Highly preferred. The Fraud Data Analyst will be on the front-line of reviewing client transactions and activity. This is a consultative role with the ideal candidate being personable, intuitive and analytical with an outgoing personality and the ability to build a strong rapport with customers and colleagues. Identify, analyze, and interpret fraud-like trends or patterns in data. Analyze customer data to identify key insights and trends. Report trends and findings to executive team and to the client. Provide expertise to manage, manipulate, and analyze data and report results. Analyze software performance and client usage. Maintain and improve existing data analysis tolls and reports. Analyze and problem-solve issues with current customers. In collaboration with others, interpret data and develop recommendations based on findings. Generate routine and ad hoc reports. CFE or obtaining a CFE. Highly motivated and independent worker who is not shy at tackling tasks they do not immediately understand. Strong analytic, oral and written communication skills. Able to work to project deadlines both effectively and efficiently. Experience with Tableau, SQL or other analytic software tools preferred. Previous data analyst experience preferred. Strong internal and external customer service and professionalism skills with the ability to work in a flexible environment and adapt to change. Must have a passion for data and analytics. We are honest in our dealings with others. We deliver what we promise in our business, and personal, relationships. We always demonstrate commitment and diligence in our efforts. We are always friendly, courteous, and respectful towards others. We display teamwork. Team members use terms like “we,” not “I.” “It’s not my job” is not in our vocabulary. We have a sense of urgency on matters related to the customer. We “own” problems and are always responsive. We are customer driven. IDology was named one of Atlanta’s Best and Brightest Companies to Work For™ in 2014, 2015, 2016, and 2017. This is an award that honors organizations that have clearly demonstrated exceptional human resource practices and represent high standards in today’s economic climate. 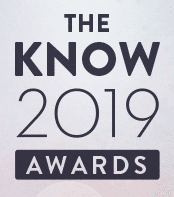 IDology was named Company of the Year at the 2019 KNOW Awards. This award is given to the small- or mid-size company that has demonstrated the greatest impact on the identity landscape through technological innovation, product and service development, or thought leadership within its target industry.